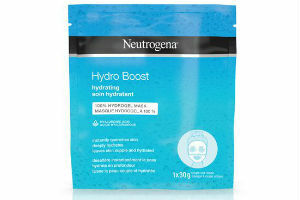 If you need a moisture boost, try this hydrating mask. It's gentle and non-comedogenic, meaning it won't clog your pores. The results are instant, leaving skin hydrated and smooth while also working to contour skin, sealing it for optimal absorption. To use, place mask on a clean face and leave on for 15 to 30 minutes. 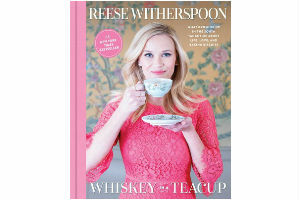 You're invited into Reese Witherspoon's southern life with her debut book, named after something her grandmother, Dorothea, always said about beauty and strength making southern women "whiskey in a teacup." Learn how she does her hair, make her favourite recipes and read tips on throwing the perfect southern party. Add a pop of colour or sheen to your gift wrapping or craft project care of this easy-to-peel washi tape. The possibilities are endless with 32 design and colour options. Use it to personalize stationary or school supplies, create labels or organize your pantry, create a chore chart with it or make a design on the wall. It tears easily by hand, can be written on and it peels off without damaging the surface it was stuck to. Hypoallergenic and dermatologist approved, this massage cream helps to reduce stretch marks and visibly improve the skin's elasticity. Packed with pure shea and cocoa butter, natural oils, elastin and collagen, it will leave your skin feeling quenched for 48 hours. 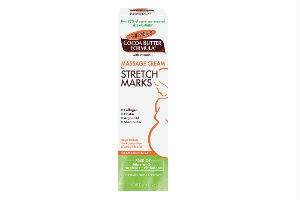 Use it during pregnancy or postnatal on areas that are prone to stretch like hips, thighs, tummy and bust. Comfort is key with these kicks. 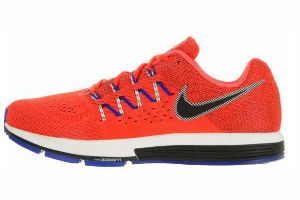 They're designed to be your daily runners and have premium cushioning and a dual-density sole so your feet will feel great as they hit the pavement. The neutral arch makes them perfect for long-distance runs and the mesh exterior allows feet to breathe. So you like to BBQ, huh? Made for high-temperature cooking (to to 550°F!) 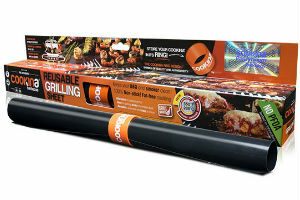 this reusable, non-stick sheet keeps your BBQ and smoker clean while cooking your favourite foods like steak or wings without all the mess. A great alternative to tinfoil, bring this sheet your messiest, stickiest marinated food then throw it in the dishwasher. And yes, you still get grill marks. Dry, sensitive skin will be quickly transformed with this skin-quenching gel. 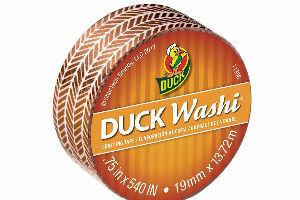 It creates a weightless barrier against environmental elements while locking in moisture. Apple fruit extract and glycerin help soften and hydrate while cactus pear extract adds water-binding properties and helps to support your skin's moisture balance. Puffy eyes and dark circles are a pain point for many. 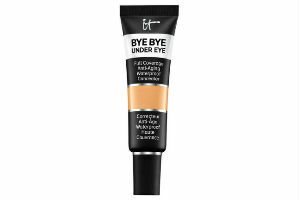 Enter this long-wearing concealer that's geared towards mature skin and developed with plastic surgeons. Anti-aging peptides, hydrolyzed collagen, antioxidants and hyaluronic acid work to hide dark circles, redness, bags, age spots and broken capillaries while also improving the appearance of wrinkles. Available in 48 shades. 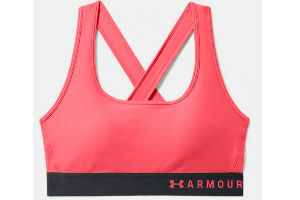 Good support is always important and this crossover-strap sports bra fits the bill. Made from material that dries quickly and wicks away sweat, it's soft, breathable and has removable cups. Double-layer HeatGear fabric feels great against your skin and four-way stretch construction allows for easy movement in all directions. 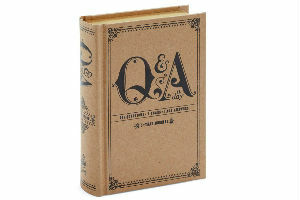 Keeping a journal is tough at the best of times, but once you have kids? Haha, forget about it. Enter this sweet five-year book. Every date comes with a specific question to answer. After you fill it in for a year, start over! It's fun to look back and compare your responses. 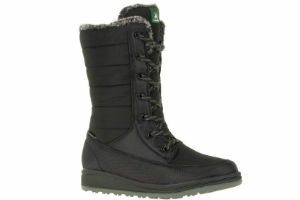 Combining fashion with functionality, the Bailee boot will keep your feet toasty up to -30°C. With a 100 percent promise to keep your feet dry all winter long using a special waterproof membrane that lets your feet breathe but keeps any kind of weather out, you can feel good about trekking in these comfortable, faux-shearling lined boots. 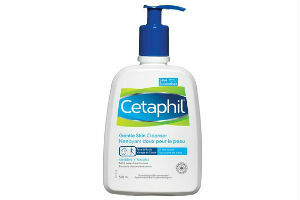 This gentle, soap-free cleanser won't bug your skin or its natural PH, so it's safe for daily use. Great for sensitive skin (the fragrance-free formula is even safe for baby) and can be applied wet or dry, as in, when you only have two minutes to get out the door.